This is a totally gorgeous card, Marcelle. Love the elegant simplicity of it! Beautiful card. Love the embossed background and subtle design. Thank you for playing along with us at IBS. 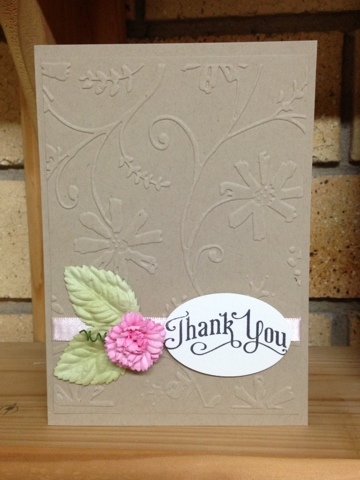 Wonderful use of the colors with this pretty CAS card~ Thanks for joining in with IBS! Blessings... 2nd last Church card!